Relax on sandy beaches, stroll along the scenic Virginia Beach Boardwalk and explore local attractions in Virginia Beach, Virginia. 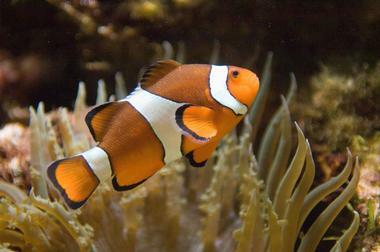 Kids will love the Virginia Aquarium & Marine Science Center, the Military Aviation Museum and the Ocean Breeze Waterpark. Best things to do in Virginia Beach for couples include the Virginia Museum of Contemporary Art, the Adam Thoroughgood House and a romantic picnic on the ocean's edge. 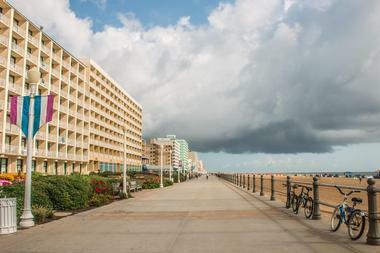 The Virginia Beach Boardwalk is the heart and soul of the area and provides a range of fun entertainment and activities for visitors and locals alike. Stretching for three miles along the oceanfront, the boardwalk has an energetic mix of restaurants, shops, entertainment, and laid-back beach vibes. The boardwalk features a separate bike path with vendors offering bike and surrey rentals, making it ideal for strolling, rollerblading, and biking. The boardwalk is also a center for performing arts, including live musical acts, summer concerts, and a range of nautical sculptures such as the famous bronze statute of King Neptune. 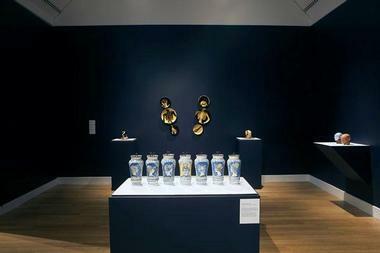 The Virginia Museum of Contemporary Art is dedicated to encouraging and fostering the exploration and understanding of contemporary and modern art. Located at 2200 Parks Avenue, the museum is housed in an award-winning building designed by Boston architect E. Verner Johnson and boasts over 6,000 square feet of exhibition space. The museum features a range of ever-changing exhibitions spanning a variety of art forms and genres, from painting, drawing, and sculpture, to photography, video, and glass. 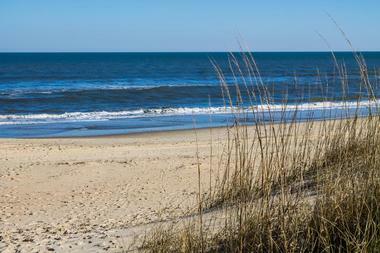 Named after the landing of the first English colonists in 1607, First Landing State Park is a beautiful oasis in the heart of Virginia Beach, and it is the region’s most-visited state park. Built in the early 1930s, the park is a National Natural Landmark listed on the National Register of Historic Places. It offers an array of recreational and educational activities, including over 20 miles of hiking and biking trails and uninterrupted views over Chesapeake Bay. A variety of diverse habitats ranging from maritime forests and lush lagoons to marshy cypress swamps serve as the home to myriad fauna and flora. Meanwhile, the visitor-friendly Chesapeake Bay Center features historical and educational exhibits, as well as a pavilion and amphitheater that can be rented for special events. Located just south of Rudee Inlet, the Virginia Aquarium & Marine Science Center is home to over 12,000 animals representing over 700 species. The animals are cared for in a variety of habitats, including the Bay & Ocean Pavilion, which features animals from oceanic marine environments, and the Marsh Pavilion, which hosts a variety of river and marsh creatures. 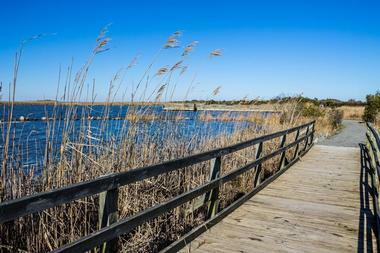 The two pavilions are connected by a lovely outdoor hiking/walking trail that runs alongside Owls Creek Salt Marsh. If you are looking for fun things to do in Virginia Beach with kids, this is a great place to visit. The Virginia Aquarium & Marine Science Center also offers a range of educational programs and workshops that aim to encourage and inspire the preservation of the marine environment through research and sustainable practices. Explore the waterways of Virginia Beach through a variety of fun and exciting tours and activities with Beach Eco Tours. The company’s primary focus is on Stand Up Paddleboarding (SUP) and offers a range of different tours to suit every need, from leisurely cruises, private SUP lessons, and wave-riding lessons to dolphin and moonlight tours. Explore the tranquil waters with ease and take in the beautiful natural surroundings along with the local marine and wildlife. Beach Eco Tours also sells and rents SUP boards so you can explore and enjoy the waters of Chesapeake Bay on your own time. Alternatively, you can join a Tag Along Tour with your own SUP board. A minimum age of 12 years is required for tours. 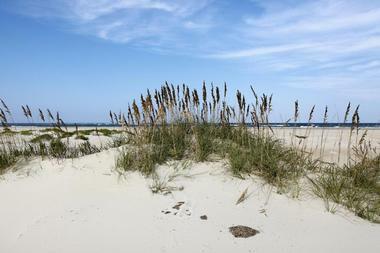 The former home of Native Americans, False Cape State Park is situated between Back Bay and the Atlantic Ocean, and it is one the last remaining undeveloped areas along the Atlantic coast. The park is home to a diverse range of wild and untamed ecosystems and offers excellent outdoor activities such as hiking and biking opportunities through various trails, kayaking trips, beach combing, and camping. The park is also home to the historic Wash Woods community where visitors can explore the old church and cemetery, as well as take an enjoyable round-trip tram ride through the park from the Back Bay National Wildlife Refuge. The park is open from dawn until dusk and has no public vehicular access – it is only accessible by foot, bicycle, beach transport, tram, or boat. The Atlantic Military Aviation Museum is located at the Virginia Beach Airport and is home to one of the largest collections of World War I and World War II military aircrafts in the world. Spanning a vast complex of four hangars and an exclusive museum space for the collection’s non-flying pieces, this fascinating living history museum grew from a passion for World War-era aircraft. It features an impressive selection of meticulously restored aviation treasures. Examples of World War I bi- and triplanes include a Bleriot XI and an Albatross DVA, and World War II pieces include a Spitfire and a MIG. Enjoy guided tours of Master Jet Base NAS Oceana on a special double-decker bus and get up close views of F/A-18 Hornet and Super Hornet fighter jets. You will have the exciting opportunity to watch Naval Aviators and ground crews at work. 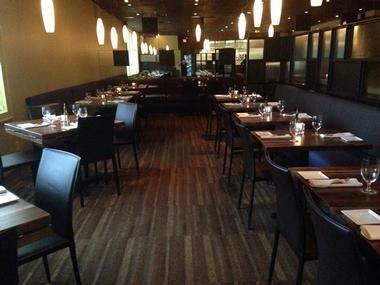 Located on Upton Drive in Virginia Beach, Blue Seafood & Spirits is a chef-owned and operated restaurant dedicated to serving high quality, fresh seafood accompanied by a range of signature cocktails, wines, and beers. Ocean Breeze Waterpark is a family-friendly water park and entertainment center in the heart of Virginia Beach. The Caribbean-themed Park features more than 30 exciting rides and exhilarating water slides, river adventures, a pirate ship, and a massive wave pool, as well as other fun attractions. Popular rides include the Log Rolls, Walk the Plane, and Jungle Falls. Smaller children can enjoy themselves on a real pirate ship, and adults might enjoy spending a few hours browsing the shops. The park has several restaurants and cafés that serve a variety of food, snacks, and drinks, and the park offers free sunscreen and inner tubes for all visitors. Situated just north of Back Bay Wildlife Refuge in Sandbridge, Little Island Park is a lovely beach park that provides the public with a variety of outdoor activities. 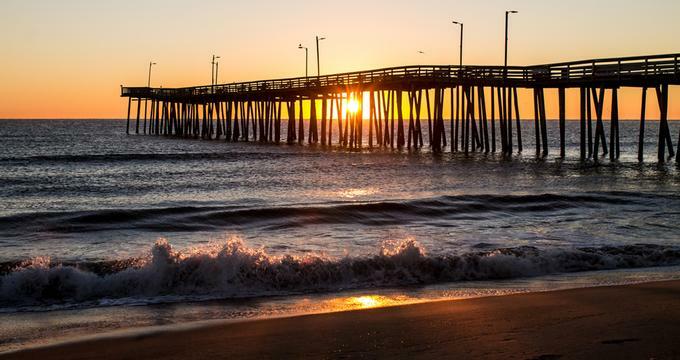 The park is home to a 400-foot fishing pier, which is a great place to surf, as well as a pristine beach where visitors can swim, beach comb, and fish. There are also sheltered picnic and barbecue sites throughout the park for family fun days in the sun. The brackish lake of Back Bay is ideal for kayaking, canoeing, fishing, and crabbing, while lighted tennis, basketball, and volleyball courts provide extra entertainment for more energetic individuals. The Atlantic Wildfowl Heritage Museum is a small museum dedicated to showcasing the history and migratory patterns of Atlantic Wildfowl that pass through Eastern Virginia. 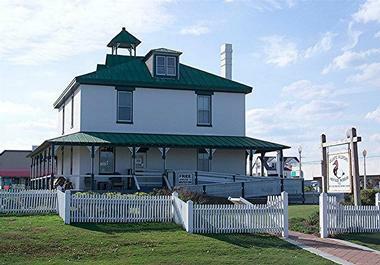 Located in the historic de Witt Cottage on the Virginia Beach oceanfront, the museum is home to a variety of exhibits and displays showcasing wildfowl and shorebirds and their migratory movements, as well as an array of artworks with this particular subject matter, from contemporary lifelike carvings to traditional decoys. Other interesting exhibits include a diorama of the surrounding Back Bay habitat and wildlife, a mural of the Atlantic Flyway, and a modern, interactive computer that gives immersive lessons about the local wildfowl. Open seven days a week for lunch and dinner, Braise, owned by local restaurant veterans Bobby Huber and Mei Ling Perkins, offers an eclectic menu of quasi-American food with a twist. The menu boasts classic surf and turf favorites such as seared scallops and shore clams, braised lamb shank, and bacon-wrapped filet, and it changes according what is in season. The restaurant has a relaxed, laid-back ambiance with a large dining space and an inviting bar where visitors can enjoy half price drinks during Happy Hour every day. Located in the luxury Hilton Hotel on the Virginia Beach oceanfront, Salacia Prime Seafood and Steaks is Virginia’s only AAA 4-Diamond steakhouse. In this elegant space with its soaring ceilings, opulent furniture, and wonderful outdoor dining area, Salacia’s Executive Chef Kyle Woodruff offers an extensive menu of exquisite appetizers, first-class prime steaks, fresh seafood, and a superb wine list. The elegant ambience is a perfect background for delicious appetizers such as mini lobster rolls, best Chesapeake Bay oysters or beef carpaccio, or entrees of wagyu beef with interesting sides such as parmesan parsley potatoes or fire-roasted mushrooms. Let the experienced sommelier choose the right wine for your feast. If you can, try to get the spot outside in one of luxurious white booths overlooking the beach. Just a short walk from the famous boardwalk of Virginia Beach, Terrapin offers diners an intimate dining experience with a menu of award-winning contemporary American Cuisine made from seasonal, farm-fresh ingredients. Chef Rodney Einhorn has created an innovative menu of farm-to-table fare that features dishes such as truffle mac-and-cheese, fresh sea scallops, and rib eye steak. The evolving menu is paired with an interesting list of signature cocktails, boutique wines, and craft beer. The recently renovated restaurant that can accommodate 50 patrons is warm and inviting with an elegant wooden bar, floating lanterns, and an open kitchen. A stylish terrace is ideal for outdoor dining during the warmer months. 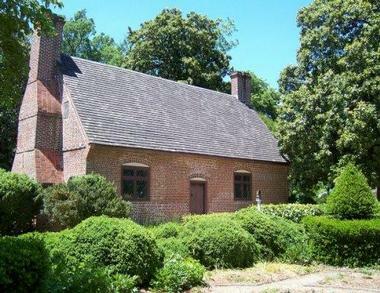 Named after an apprenticed servant who made a fortune in tobacco farming, the Adam Thoroughgood House is a National Historic Landmark and is said to be the oldest surviving colonial home in Virginia Beach. Built in the 1680s and later restored to its former glory in 1957, the small farmhouse is located in a quiet neighborhood near the banks of the Lynnhaven River. It features an incredible collection of late 17th and early 18th century English furniture and beautifully manicured gardens. Guided tours of the house are conducted by costumed staff members, and the museum offers a range of interactive educational programs for children to learn about the life and traditions of the past. 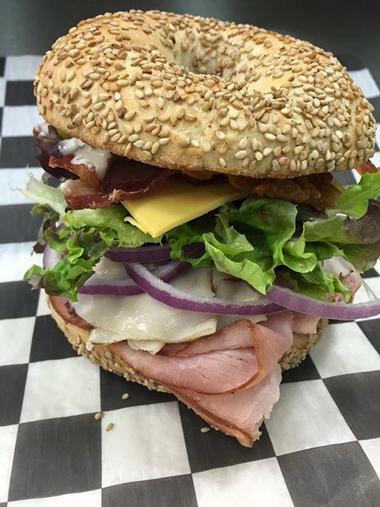 The Bagel Baker is a friendly bagel and coffee shop located in the Great Neck area of Virginia Beach. Established in 2011, this family-owned and operated bakery brings a taste of New York to Virginia Beach with freshly baked bagels with delicious toppings, breakfast sandwiches, soups, salads, and home-brewed coffee. Bagels are made daily in the traditional way – they are kettle-boiled, stone baked, and preservative free. Visitors can choose from a variety of fillings such as cream cheese, hummus, butter, and jelly for their bagels. A range of other sandwiches, breakfast rolls, deli salads, and soups are also available. Gourmet coffee is freshly brewed throughout the day to accompany the deli’s range of meals and snacks. Sandbridge Beach is a beautiful beach paradise and secluded hideaway just 15 miles south of the main resort area of Virginia Beach where you can escape the crowds. Stretching for five miles along the coastline and featuring pristine sand dunes and waving sea oats, this seaside oasis is home to breathtaking natural landscapes and a diverse range of wildlife. Explore the thick marshes and mercurial backwaters of Back Bay National Wildlife Refuge in search of wildlife, venture along the Seashore to Cypress Birding Trail to find some fantastic birds, or head into the False Cape State Park to enjoy hiking, kayaking, or fishing. The Lake Lawson/Lake Smith Natural Area, a natural preserve situated in the Bayside Borough, boasts over 12,000 feet of shoreline and a variety of diverse habitats. The area offers locals and visitors alike a range of fun water-based and beach activities, including fishing, boating, canoeing, kayaking, and paddle boating. There are several walking trails, a pedestrian bridge, and picnic areas families can use, as well as a newly built playground for young children. 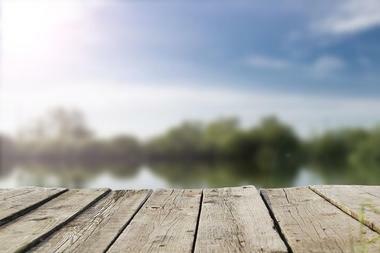 The 42,000-acre reserve offers several fishing and overlook platforms, formalized boat and trailer parking, and a new boat ramp for fishing and boating enthusiasts. 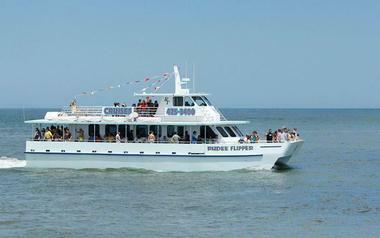 Explore the Virginia Beach coastline and see dolphins in their natural habitat on a fun-filled cruise aboard the Rudee Flipper. Renowned as one of the longest running and most experienced dolphin cruise companies in the region, Rudee Tours offers unforgettable tours that allow you to experience the beauty of the coastline and watch dolphins frolicking in the bay. Tours are conducted on the Rudee Flipper, a classy cruise boat with upper and lower sightseeing levels and interior windows that boast 360-degree views so you don’t miss a thing! The boat is manned by a professional crew who will share their knowledge and passion about the area and help you find the best locations to sight dolphins. The Rudee Flipper is equipped with modern amenities for comfort, including two restrooms, climate control, and a snack bar that serves hot and cold beverages and freshly made snacks.